All through the world, from Japan to China, the African continent to Europe, economic specialization and attempts to organize crafts, manufacturing and trading processes, have been integral to urban life. In Europe, medieval guilds that interacted, resisted or cooperated with the State and the Church have impacted political and social trajectories involving, power, monopolies and conflict for centuries. Even after the spread of industrial capitalism and the rise of corporate globalization, European cities still show traces of the influence of guild-based systems. This can be seen in the way economic activities from wine-making to copyrighted design, from brands and labels to architectural styles, try to bridge traditional practices and modern demands. While contemporary urban planning practices and norms do not always respond as flexibly to economic activities as they did in the past – the legacy of strong lobbies and traditional elites controlling the urban landscape is still visible. According to scholars such as Max Weber, the role of guilds played a special role in the emergence of a certain kind of economic urban character – distinguished significantly by an attempt to control urban life, create protectionist systems as well as maintain secrets connected to trade activities. The development of patents and intellectual property rights are specifically connected to the history of guilds, which have been equally vilified by both, right and left wing economists in equal measure. However – Weber points out that the special quality that European guilds had was their direct connection with city based spatial regimes, local resources and in-house apprenticeships, which were often open for anyone with skills who belonged to the city, town or village. At the same time guilds were also closed when it came to taking in people from outside – sometimes discriminated on the basis of region or language. This was unlike in India where exclusion was based on a more abstract principle, caste. Caste was capable of making someone from the same village or town socially distant. Someone from a different caste could be from your village or neighbourhood but physical proximity did not transcend social distance. What this caste based exclusion did was make people move more. India’s relationship with physical mobility, with individuals, families and communities constantly circulating across the subcontinent has been historically documented by scholars like Sanjay Subramaniam and Ravi Ahuja. People forged linkages with caste based professions across vast regions. This explains how Indian traders and labourers travelled the world over through navigation systems or spread extensively across the sub continent. Of course, wherever people went, they took with them the same structures of hierarchy. Sometimes they could rise up the social ladder, but mostly the social structures reproduced themselves in new geographies. Which also explains how most Indian cities often tend to reflect spatial configurations like the traditional village, with poor and rich communities developing co-dependent relationships. The emergence of a slum narrative in a city like Mumbai is a reflection of such forces. Several – though not all – slums tend to be dominated by communities which are weaker in socio-economic and ritual terms. 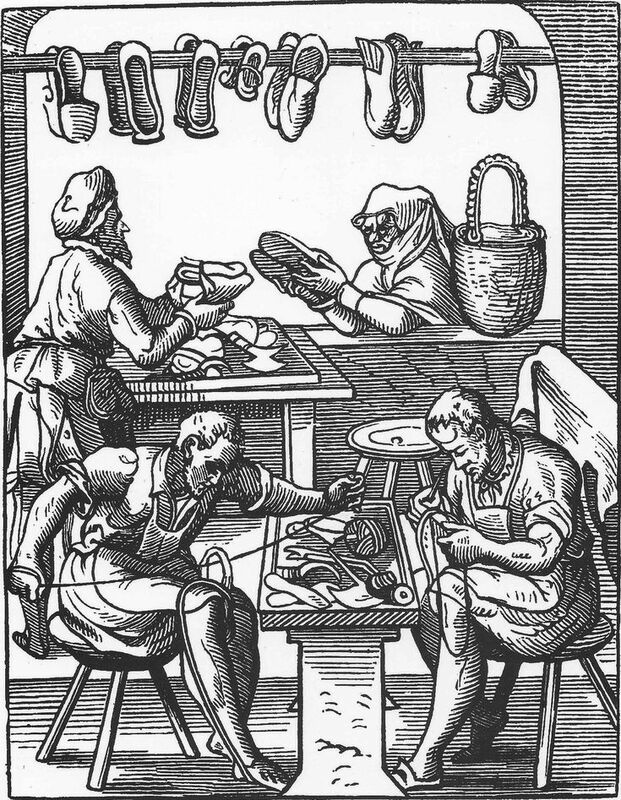 Leather workers and potters in particular are the most marginalized groups because the material of their crafts is deemed impure. In the European context, while ghettoization and segregation did exist, especially in terms of the designated outsider – there was a deeper process at work in which economic associations played a strong civic role in shaping urban centers. The guilds may have had several problems, as they were often monopolistic, exploitative of labour and resistant to the control of mercantile capital from elsewhere, which explains their antipathy to right and left economic practices. But they did leave a huge impact on urban Europe in terms of the development of cities and towns, and towards the modernization of several crafts and artisanal practices. The continued dominance of European design in contemporary production and manufacture, the strong control of local natural resources, innovation in technology, the persistence of high living standards in terms of habitats are to some extent continued legacies of systems that paid attention to artisanal skills, valued excellence and were open to all within the shared space. Leather based brands as well as pottery from Europe – represent a completely different trajectory then what we see in India. European urban landscapes are definitely a direct consequence of the way in which economic associations played their role in shaping them. Combined live-work spaces and neighbourhood streets as economic sites of exchange were as integral to the experience of medieval European cities as in contemporary Asian ones. While modernization of urban planning practices destroyed older, hierarchical and exclusive systems, it is undeniable that the strong role of economic associations through guild systems also shaped the way in which these transformations happened. In India spatial configurations have rarely had a unified articulation, split as they always have been along divided social lines. The co-existence of the rich and poor in Indian cities is as much a factor of codependence thanks to specialization of roles than anything else. While professional associations are highly organized across territories, almost always affiliating with their own kind, the principle of urban space is inevitably splintered within – making inequalities starkly visible. 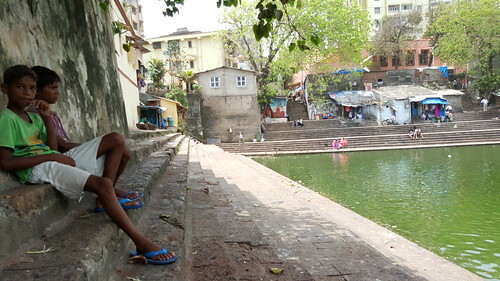 A neighbourhood like Dharavi sits in a place like this. It is not simply a physical space. But one that is shaped by social and historical contours to which it belongs. Leather workers and communities involved in tanning, processing and making finished leather goods as well as the potters have shown great enterprise and been victims of traditional marginalization. Our practice explores how factors deeper than simply distribution of resources, urban planning or political intention can change cities. These deeper factors have do to less with psycho-cultural mechanism than with historical factors that shape two important aspects of urban life – livelihood and shared living. This is the summary of a talk given at Oris – House of architecture, Zagreb, Croatia on June 16th 2016, which was part of the the Future Architecture Platform. Illustrations by Ismini Christakopoulou, Matias Echanove and Rahul Srivastava. The modern notion of the future is based on a Biblical timeline, which has raised messianic expectations ever since Daniel’s prophesies. Such an understanding of the future even spills over into worlds where a more cyclical notion of time dominates – for example in the Asian context – and generates constant excitement of impending change. It prevails also in secular milieus, which believe that our future should be in our own hands rather than in those of the divine. The quest for a better future is something that seems to infuse modern life, from political revolution to consumerist aspirations, from technological fantasies to ecological utopias (and dystopias). The strong faith in the possibility of a future that is radically different from the present has fueled architectural ambitions throughout the twentieth century. And it still prevails in some of the most dominant architectural practices today. ‘Parametricism’ being its latest and most hopeless expression. Such moves are locked in linear time, where the past becomes a source of nostalgia or a vast archaeological site to be preserved in museums, while rendering the future into an amusement park of technological wonders, which promises to leave the misery of the world outside. Such grand architectural gestures always seem to provide the future in a self-contained form, managing to exclude misery out altogether in that ideal world. The present becomes an awkward point of transitioning from an imagined past into a desirable future. It also has the irritating habit of tripping big plans and visions, by asking mundane and profane questions. It is in the present that ugly, mistaken or confused architecture sits cheek by jowl with political problems that challenge architectural ambitions. Narratives of injustice and poverty may clearly go beyond the scope of architecture as a discipline. However, that doesn’t prevent the well-meaning architect to make a valiant attempt at becoming a saviour. He gathers as much of political energy as he can and gifts his architectural solution to the world, which can either emerge in the form of a master plan (for instance to rehabilitate millions of slum dwellers) or as a small but perfectly controlled architectural object (such as the $300 house project -R.I.P.). That these projects actually have no relationship to the context they are supposed to transform doesn’t bother him the least. To the young heroic architect aiming at making a difference, looking at the present is not as straightforward as it seems. Especially when the dominant gaze is already coloured so heavily by a linear notion of time. The present is infinitely complex and dynamic, fusing the familiar with the unknown with disconcerting fluency. Thankfully, linear time is not the only way to relate to the world. If anything at all – it only seems to distract us from a creative, imaginative and direct engagement with the present. The present contains its own ‘becoming’. It inevitably moves in different directions, pushed and pulled by all of us. But we, who produce the present, are also firmly embedded in it. The present absorbs the future – not through the projected fantasies of a few visionaries but through the chipping and shaping away of the present by those who live in it – the unruly multitude of inhabitants. The full range of architectural concerns, where the language of space, time and depth shape worlds and animate built-forms are all pervasive processes. These are important and exciting holistic moments. It is a real pity to split them up along a linear representation of time. What would a practice of architecture and urban design that is not projecting ‘the future’ look like? One which is rooted in the present, rather than in a nostalgic notion of the past, or a wonder of the future, even though it may be inspired from and powered by those fantasies? The process of recognition involves a reorientation of our gaze, and the way we interpret and deal with the world around us. It is about framing the reality in a way that allows us, and everyone else, to become legitimate actors. It is about the acceptance of our world as an unfinished and imperfect, collective work in process. And taking part in that process. According to Amitav Ghosh, “Recognition is famously a passage from ignorance to knowledge… The knowledge that results from recognition … is not of the same kind as the discovery of something new: it arises rather from a renewed reckoning with a potentiality that lies within oneself.” (The Great Derangement, 2016, pp: 5-7). The act of recognition thus involves the establishment of a relationship between the subject and the object – which may be almost fusional. It is not a passive observation but an active engagement with the present and the potential that it embodies. Pre-cognitive forms of intuition and creativity thus have a central role to play in the act of recognition. In another exhibition, currently showing at the Maxxi in Rome, we show wood, steel and acrylic models of ‘dream tool-houses’ designed by artisans in Dharavi, Mumbai, with the help of the urbz team. 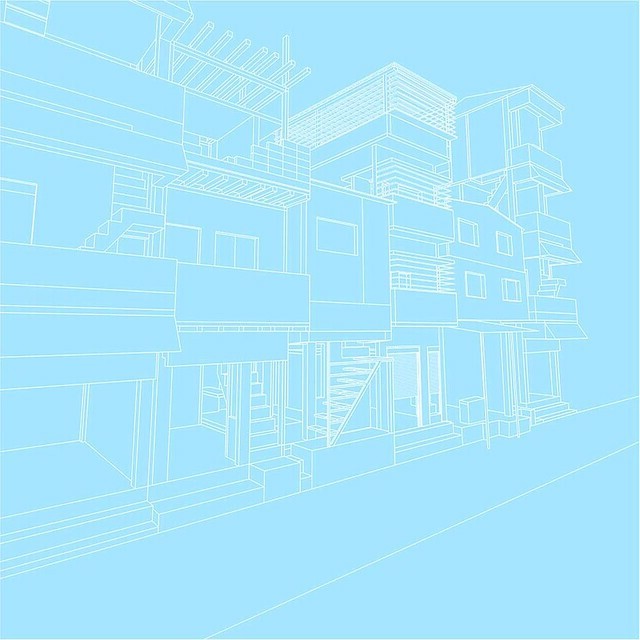 A tool-house is a typology that is very typical of unplanned settlements such as Dharavi, but which is also pervasive throughout Asia – from India to China and Japan. It merges residential functions with productive functions, thus optimising the use of space in dense neighbourhoods. The tool-house models we produced with local actors in Dharavi are fictional and idealised representations of the reality they live in. 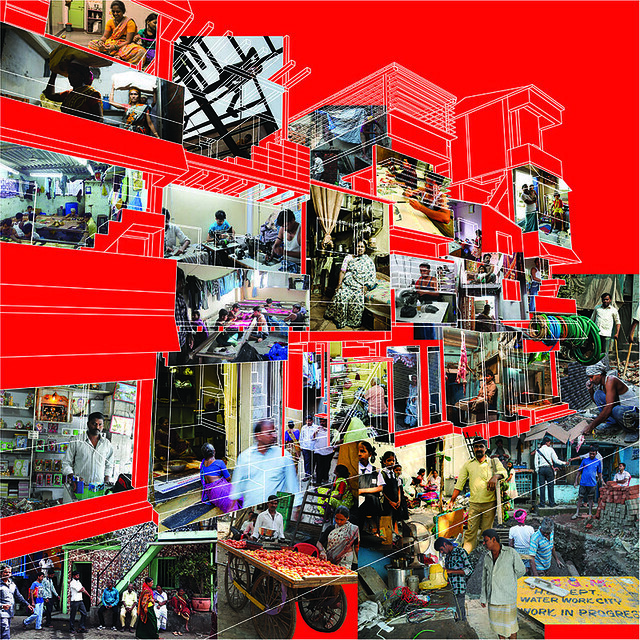 They represent a potential that is at once hopeful and pragmatic, which draws on local skills and responds to local needs better than any utopian urban design for the future of Dharavi ever could. 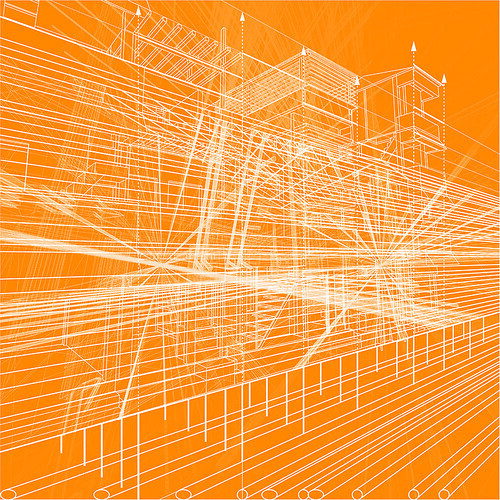 Urban practice has become increasingly speculative about the future. If there is a world where utopias are literally a commodity, bought and sold as little pieces of dreams, it is here. Full of futuristic and visionary images about the way the world should look, buildings, neighbourhoods and entire regions seem afloat in space, free from the constraints of the lived world. They do seem to have a clear source, however, derived largely from fictional scenarios of the future of humanity. While apocalypse, paradise, utopia and dystopia are the moral anchors for several speculative fables, the city is evoked as double-edged – at once the pinnacle and tipping point of human choices. This essay demonstrates how speculative fiction limits the idea of the urban future and with it restricts choices we make in the present. If fiction is another mode of activist expression, it is being sculpted and shaped in concrete and glass as well. In movie lore, Fritz Lang’s Metropolis (1927) is the fountainhead of subsequent futuristic urban imagery in cinema. The director is known to have been inspired by his first glimpse of New York that bloomed into his gigantic futuristic, art-deco cinematic city in which a twisted class war and biblical themes came together to carry forward a strange tale of control, love and human choices (Minden and Bachman 2002). The authors point out that the imagery in the film – tall skyscrapers, looming giant urban landscapes, machines merged with built forms – is said to be inspired by the futurist Italian architect Antonio Sant’Elia, but the film’s own design influenced the art-deco movement substantially in Europe and America as well. This interplay of early twentieth-century architectural movements and cinematic representations produced a set of images that became hugely influential, continuing to be the template on which notions of urban futures kept echoing through the twentieth century. Widespread notions of the city remain anchored to similar or related visions. The city, thus, very much remains entrenched as the alter ego of the rural: a very twentieth-century and industrial idea (Leeds 1994). If we detach such a notion of the city as we have imagined it in the twentieth century (thanks in no small measure to movies like this one) and actually take a hard look at the way urban forms proliferated in the contemporary world, we see a gap that needs to be filled in more creatively than simply by a temporal logic of urban development where everybody would eventually catch up. The actual processes through which cities relate to density and space, how they create habitats, their relationship to what they call home in different parts of the world, the surprising ways in which they use transport and mobile systems rarely become the starting points of imaginative reconstructions that circulate in the media and, subsequently, in our minds. Research emerges year after year from India, Europe, China or Africa, which reveals complex patterns of urbanization, unexpected directions that people take in shaping and using habitats that certainly does not point towards the vertical, speedy, hyper-dense spaces that presently haunt our stories and minds (Brenner 2004; Kaufmann 2014 ; Echanove and Srivastava 2014). Such research reveals that villages are becoming a part of urban living, populated forests, and high-technology rural habitats are as much a conjoined living reality as mobile phones and the Internet, and populations are circulating and moving in unexpected directions. Thus, the urban landscape of the future may be much more varied than we imagine. The reason why it takes much longer for these observations to become the knowledge stock and springboard for imaginative constructions is because they challenge very deep taken-for-granted notions about the future. Organic metaphors for cities have been in fashion at least since Patrick Geddes (1854 – 1932). A biologist by training, Geddes turned to city planning when his eyesight became too defective to use a microscope. He imagined a city as not fundamentally different from any other living organism. A city seems to follow a logic of its own, complex and mostly spontaneous. It grows and mutates taking different forms and functions. The only difference between a city and an organism, is our conviction that we can plan the former, while we see an organism’s internal capacity to grow and structure as divine. Tampering with biological cells, whether animal or vegetal, is seen as sacrilegious. Think of the strong movement against genetically modified organisms. The fear is that we may create types of organisms that could get out of hand, go viral and threaten biodiversity. Playing god may endanger and impoverish the realm of our own existence. The related worry we have with GMO is that these extra-dominant strains tend to become the property of corporations that control and impose their terms on farmers and consumers. At one level these fears are real. We don’t want any cartel to dominate the food industry. Organic food, farmers’ markets and guerrilla gardening are healthy reactions to a form of capitalism that threatens the livelihood and autonomy of producers and consumers. At another level, we can’t treat nature as sacrosanct and out of bounds of human engagement. We’ve always been tampering with it and always will. However much we pollute and exploit it, we are part of nature. Forests have forever been inhabited by humans. Their ecosystem depends on us as much as we depend on them. Even “pristine” forests have relied on intricate and interfering knowledge systems, which humans living in and around them possessed for their co-dependent survival. We can’t reduce nature either to something pure that must remain untouched or a raw resource that we should freely exploit. Either way this amounts to physically and conceptually evacuating human presence, and makes way for nature’s total sacralisation or devastation. Both of which are happening simultaneously today. Nature is messy, contradictory, predatory. Harmony is a beautiful invention of the mind but as green-architect and nature-lover Michael McDonough once told us pointing to a harmless-looking creeper growing around a serene-looking tree: “it is a war out there.” He saw his role as that of a peacekeeper. There is a lot humans can do to monitor and support nature that doesn’t involve destroying it, as the greening of arid regions in Israel and India have shown. Could the same thing be true of cities? Can we manage them without killing their diversity and spontaneity? Geddes certainly thought so. We are only starting to understand how we can alter an organism’s genetic code, while we have been planning cities and neighbourhoods since Sumerian times. The problem is that we have never been very good at it, or perhaps we lost those skills in modern times. Master planned cities usually turn out to be disasters, and our proud megacities, which are colonizing the planet from Shenzhen to Santiago are the result of the same Monsanto brand of capitalism that kills diversity in the name of efficiency and profit. The problem with this model is that it is crisis-prone and offers a highly uneven quality of life. Maybe it is time we start recognizing human agency as an active principle in urban growth. We must see beyond planning and engineering as ways of organizing habitats, and invent methods that involve users and residents and their dynamic acts. We must start seeing people as the building blocks of cities and open the planning process to them. Unfortunately, even as the rhetoric of participation dominates the urban planning discourse from Tokyo to Toronto, and at a time when hundreds of thousands of communities of users interact in responsive networks and games, we seem unable to open up urban practices. Urban development still tends to be managed by technocratic planning agencies, which serve the interest of real estate speculators more than that of end-users. There are a few concepts that we love to use, like the title of this article, precisely because they evoke an oxymoronic world were nature and city not only coexist but blend into each other. This vision is not one of LEED-compliant buildings with floral facades and smart cities surrounded by green belts that preserve “nature” out there. No, we do not need to preserve the city from nature or vice-versa. The two work best together. Above all, the natural city is one where human nature can express itself. Where the act of making a home is as natural as plucking fruits from trees. It is a place where habitat develops continuously, in response to the changing needs and means of the people who live in them. And where objects, homes and places can be produced locally by mixing native skills with the most advanced technology available. Where the architect is also a builder and a resident. Where the users are the developers. And where rules follow forms rather than the other way around. While this sounds like a utopia straight out of a Jehovah’s Witness brochure, it is in fact a reality that exists in rather complicated “slums” the world over, from Mumbai to Madrid. Destitute people have demonstrated what the dark side of this vision looks like. They live in homegrown neighbourhoods, built locally by resident contractors in vernacular fashion, using whatever resources they can access. They usually lack resources, but what they lack most is the right to improve their habitats on their own terms. What we need instead is a fundamental reshuffling of our conception of how a city grows. Growth must be redefined and reclaimed if what we want is a city that is diverse, fertile, creative, but also inclusive, beautiful and resilient. We may have to stop trying so hard to plan and control, and recognize the city’s inherent capacity to evolve. The vital force at work in cities is not divine, but eminently human. We must trust users and give them the right and means to improve their habitats and shape it in small and big ways. Users should be empowered to meddle with the code of their urban environment and create new urban genomes – as they have always done. We should not allow real estate developers to monopolize the engineering of cities in ways that only benefit them. In this process, the users best ally could well be the architect, the urban planner and the policy-maker –if only they learned to observe the natural city before planning it, as Geddes already did a century back. The academic field of mobility (with a ‘b’) has thrown up many concepts in the last couple of decades – out of which, that of ‘motility’ (with a ‘t’) is particularly intriguing. Coined by Vincent Kauffman in 2002, it refers to resources that enable people to move from one place to another. These include access to transport, income levels and skills needed to access necessary infrastructures of movement. However – and this is where ‘b’ becomes ‘t’ – the concept is crucially predicated on whether a person can actually activate an aspiration or choice to do either – remain sedentary or become mobile. The capacity to be mobile is a resource – a wealth in itself – Kauffman argues. And this is really tested through the ability to use it at will – the crucial something that distinguishes a highly motile person from one who is merely mobile. It is on such an intersection of presumed social and physical mobility that the concept of motility is located – by sharply reminding us that the concept of mobility needs a qualification. The capacity to be mobile needs to be infused by resources that enhance genuine choices – and that includes that of remaining sedentary and controlling how and when one chooses to move. Anyone who has been forced to be a commuter, following clockwork rhythms of movement for the sake of livelihood – basically most of humanity today -will immediately recognize this. People who can choose when to have a holiday, when to go to work or have the freedom to draft their own timetable are finally the ones with high motility. So while it is important to celebrate and laud the latest advances in transport technology – especially if it overcomes one more barrier of speed and distance – it makes sense to locate ourselves within the motility index and check how much of that advance can be accessed by us or others. Now – while the concept is a powerful one in terms of helping us differentiate between those who have the choices to travel and those who don’t – it is also important to locate those choices not just in terms of access and resources – but other more insidiously social factors. This is where the question of accessing cheap modes of travel over great distances or possessing enough security to allow people to make choices to move or not at their convenience – whether they are rich or poor – becomes important. And it is at this point we can take the concept of motility out of resource rich Europe where it originated – and test it in a place like India. If motility is relatively high even in the context of India – then we know the concept needs to be paid greater attention to – and that it is alluding to other things besides simply material resources. This can be understood better using an analogy from another field altogether – communication technology. While it is true that instantaneous communication collapses distances – it is also true that if social barriers continue to exist – people in the same room won’t be able to communicate with each other at all. If we just needed to be physically close to each other to communicate better – then we would not have breakdowns within families. Anthropologists typically like to point out that the biggest barriers to good communication are often not just technological or based on physical distance but social. Age, gender, ethnicity can act as huge barriers of their own. It must be immediately said of course that technological advancements in communication are extraordinarily important and nothing can be more precious to modern life than the ability to reach out so quickly and over vast distances the way we do now. What the above observation does is point at something a bit more tangential but important nevertheless – that what modern technologies also facilitate is the break down of social barriers – wherever possible. Social media deliberately uses informal rhetoric – mimicking friendship (relatively more egalitarian) as opposed to kinship (hierarchical). Thus while it obviously collapses physical barriers in communication it is wildly powerful also because it also helps break down social distance as well – whether in terms of how we speak and relate to each other – or the style of language – and its accompanying irreverence, or how we all become empowered as journalists, reporters, film makers or how we relate to celebrities and have access to authority in a way we never did before. Motility – in a completely different realm – helps us understand the world of physical mobility much in the same way. It connects it immediately to a more complicated trajectory of social restrictions and possibilities and helps us focus on things beyond high speed and instant connectivity. High-speed trains are good. Faster travel is amazing. And yet – if they are yoked to a lifestyle of greater restrictions on time – then more mobility gets cancelled out by low motility. Take a look at India’s largest, cheapest and most extensive mobility and transport network – the medieval, lumbering railways lost somewhere between diesel steam punk and colonial memory – which refuses to cross the 80 kilometer per hour speed limit on an average. As a giant bureaucracy it is also doing its best to stymie ambitions of introducing high-speed trains –with remarkable and uncharacteristic efficiency. Is there anything redeeming in this rumbling creature? We feel there is. From the days when it started re-structuring India’s urban landscapes from a water-based mobility network to a train based one – this highly intricate and cheap mode of moving people and goods has managed to enhance the choices of the country’s poorer segments like few other systems have managed on that scale. While the quest for livelihood, escape from hunger, and all other instigators of migration hold true for the millions who moved to big cities thanks to the railways – the fact that they also had a choice of going back – often continuing to live two lives – using their families as a tool of enhancing motility – became a powerful mode of security as well. In fact cultural factors like the joint family, the traditional semi-nomadic propensity of our multi-tasking peasants who doubled up as soldiers in armies or small – time traders, indicates a highly mobile society – even before the railways. In fact Mariam Aguiar – in her comprehensive documentation of the Indian rail in her work Tracking Modernity (2011) – points out how the Indian railway in the initial years loved to locate itself in a narrative of bringing in mobility to a static society, which she considers to be blatantly false. In fact Indians were already mobile – across castes and class – and the routes of movements moved in all directions. Sacred geographies or political exigencies – economic quests or adventurism – produced a rich bandwidth of choices in many directions. The railways she says, initially restricted movements from point to point along a linear path usually aimed at reaching a port city as fast as possible. Several journeys in other directions were actually culled. However – it were the highly mobile users of the trains themselves who managed to act as a pressure group and eventually helped expand the network over several decades. By remaining both extensive and cheap the railways had to keep expanding choices for a people who already had a heightened sense of mobility. Their families and communities helped them maintain dual domestic locations and the movement to and fro – which we call Circulatory Urbanism – eventually shape their habitats in villages and cities. Unfortunately in India, this special phenomenon of mobility-infused urban life is mostly considered to be problematic. Service providers and workers who contribute to the city’s economy are considered to be unreliable players – viewed as undisciplined and volatile. Disgruntled employers complain about how they vanish to their villages at erratic times, families bemoan their drivers and maids who rush off to their native place just when they need them. What the workers, maids, drivers and other service-providers are doing is exercising their motility – thanks to the railway network and their traditional support systems. We are a country in which millions of multi-tasking workers subsidize the costs of the urban labour-force. Our workers listen to the complaints of their employers and bosses with resignation and good-natured acknowledgement, before boarding the next train to go home for a month, sometimes more than a thousand miles away. Yes – we miss our chai when maama goes away to his village near Pune – every now and then..but we know he comes back as well…and have learned to respect his choice and need to do that. More often than not it may be to work in his fields or tend to a family member. Thanks to several historical and cultural factors he has a high degree of motility, in spite of a lack of other resources. Combined with an infrastructure that still yields cheap travel, this adds substantial security to his life. Missing a few cups of tea is a small price to pay on our part. Global anxieties about population growth have been around at least since Malthus, with a peak in the 1960s when American academics started talking about a “population bomb” that would throw the rich world right back into poverty -and annihilate India once and for all. The particular shape of that anxiety in the form of a housing crisis set to swamp the world is relatively more recent. We seem to now firmly believe that population growth will overtake the capacity of governments to house people at decent standards. Subsequently, the world will get slummed up beyond redemption. There is a prophet of doom – à la Mike Davis – for every urban crisis that we face in different parts of the world. However the apocalyptic vision itself has a narrative thrust. In it, greed and fear dominate over humanity and creativity. It calls for drastic and swift responses. Our fear is that, unfortunately, these responses may actually be more catastrophic than the reality they wish to contain. We believe that the most urgent thing we must do is step away from such anxieties as a starting point, while looking precisely at the factors that cause them. While we definitely must analyze why more and more people are getting constituted as the surplus humanity which modern urban administrations seem to have given up on, we need to look at the pressure points afresh. We simply don’t see the weak joints where others seem to– basically the dark horizons of megalopolises being invaded by multitudinous migrants – moving in hordes across national or rural-urban borders. We believe that the preponderance of slums in a global landscape that continues to urbanize rapidly, is a legacy of faulty policy and worse – a lack of imagination about what makes for good cities. It is also a lack of memory about how slums have always been part and parcel of urbanization and the many ways in which they have been integrated in cities throughout history. Architectural and planning professions and other urban commentators have an amazing capacity to forget how so many of the neighbourhoods that we love have gone through many stages of development before becoming what they are. Many of the quarters of New York, Paris, London or Tokyo were once slums, by any contemporary standards. It is our contention that the inability of incremental housing in cities like Mumbai, Rio or Nairobi to translate into a successful tool of urban transformation is due to factors other than its intrinsic merit or fault. The issue of affordable housing is a problem not because there are simply too many people lacking resources or means to find or make decent homes and neighbourhoods, but that there are a handful of people who refuse to see cities and habitats in any other way but as a place of fixed and limited choices. Around eight years ago, we set up a small office in the famed and notorious so-called ‘slum’ of Dharavi. In the global map of slums, we placed ourselves at the epicentre of what was mistakenly referred to as the largest such settlement in Asia. We were the latest entrants in a field that was populated by activists, NGO’s, political parties and other do-gooders and got absorbed in heated waves of discussion, debate and dissent. The government’s redevelopment plan, originally master-minded by a New Jersey consultant of Indian origin, was slated to become a single point clearance agenda for redeveloping this neighbourhood. We interacted with Mumbai’s diverse set of activists and citizens with more diverse viewpoints and ideological moorings. And even where there was an overlap, we often found ourselves saying things that were counter-intuitive. Those conversations helped us sharpen our conviction more than ever, and over the next few years, we found ourselves being immersed in the practice of incremental development strategies in Mumbai. We have since then resettled our office in Shivaji Nagar, Govandi – a settlement which is not as much in the limelight as Dharavi, but which is struggling just as much to reinvent itself. We worked with local community leaders, with local house builders, residents and children and began to understand what community and neighbourhood life in a ‘slum’ was all about. All through the years, what we saw seemed to be some kind of real-time unfolding of incremental development strategies – the way we had read about them, or quickly glimpsed in Latin American contexts. Our practice sharpened, convictions became firmer and communication became smoother as we started conversing more confidently. We had started our journeys in diverse, overlapping and occasionally parallel worlds. Our practice became a mashup of urban planning, anthropology, economics, architecture and design. Our ideological make up reflected all the unacknowledged intellectual confusion and fierce ethical commitment that our generation had grappled with thanks to the tectonic shifts of national and political maps since the 90s. We attempted to connect our practice in Mumbai to a larger set of conversations that happened as we found ourselves travelling to Tokyo, Barcelona, Geneva, Sao Paulo, Rio, New York, Istanbul, Perugia, Milan, Shenzen, Belgrade, Johahhnesburg – wherever we went we found ourselves making linkages to the city and coming back to familiar practices – which somehow or the other involved watching people make their homes and lives over a generation, creating bonds with each other, sculpting communities from basic human needs of co-dependency and good-naturedness. We found a bit of Mumbai everywhere in the world. Human beings as productive agents have the collective capacity to create their own built environments. If their environments are degraded in any way – that is to say if they happen to be slums – this state of affairs is connected to a set of factors that has little to do with their capacity or ability to create quality built environments. These factors include land arrangements that do not recognize occupancy rights as a valid mode of living in a city. They also include legislation that prohibits them to improve their environment because that would mean developing a sense of ownership towards the land on which they exist. This is not allowed simply because cities today are shaped by speculation on land and space which is so tied down to its exchange value that it becomes out of reach for most of its residents. Especially those who find it more economical to use it for productive means. And it has to be deliberately kept out of reach as only then would the exchange value become genuinely lucrative. Due to this, civic authorities refuse to acknowledge that the city’s workers and the poor who contribute to its economy, need a different regime of occupying urban space, one which is based on use-value. It is in this state of affairs – more than anything else that the urban crisis of today is predicated and this is what needs to be unpacked and understood – in the greatest of detail possible. 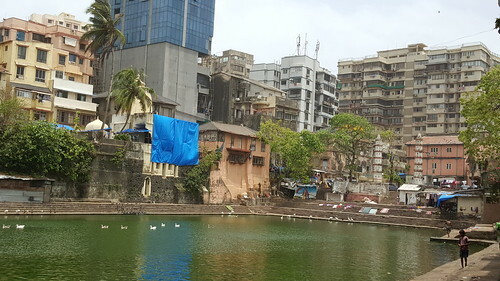 For the last four years, Urbanology, through its research institute based in Goa and Mumbai, has been working on a project that connects these two seemingly disparate places on India’s west coast. At one level, ‘Tracking the Indian Rail Trail’ looks at the significance of the Konkan railway in the urban force field of Mumbai, spreading all the way down to Mangalore along this route. At another level it looks at mobility as the lens through which India’s fast transforming urban reality can be better understood. Factoring in mobility remains a favoured approach of social scientists from the late 90s onwards and today has become a specialized field in its own right. One that looks to integrate the gaze of mobility into very fundamental thematics within the social sciences. As urban practitioners, we have always been trying to make sense of built-forms, habitats, aspirations, and modes of sharing resources in our primary location of action – Mumbai, India’s poster-city of extreme spatial challenges. In this light, the idea that our chosen site of operations stops at the formal frontiers of what constitutes the city’s municipal limit never made sense to us. Right from day one we saw how the varied landscapes of the city’s several habitats – homegrown or mass-produced -were part of a larger reality that was constantly pushing onto the horizon. We saw how the settlements that were the homes of millions of workers and service providers – mostly dismissed as slums or informal tenements – were part of a living breathing system of connections that ferried people to and fro, in different temporal rhythms using the country’s cheapest mode of long distance travel, the Indian railways. It became apparent to us that Mumbai was not just a place, a city or physical location fixed in time and space but a moment in the life of millions of its residents that was meaningful to them on a much larger chain of interdependencies. It was with this hunch that we started to develop a set of inquiries that would provide details and insights to raise more illuminating questions about what constitutes urban reality in India. Is it just about the teeming crowded cities that are refuges for hordes of rural migrants? When we talk of increasing urbanization should we only point towards the standard geographies that show depleting rural areas and rapidly densifying cities and stop at that ? What do migration patterns actually demonstrate when they reveal multi-directional movements ? We started out with the idea that Mumbai as a city could not be force-fitted into the narrow definition of a ‘city’ and pushed for the notion that it is an urban system in which a wide variety of habitats are enclosed. The railway system within the urban frontiers of Mumbai are the basis of a much larger reality which possibly connects a whole set of urban systems, inter-linked by different transport and communication networks. Trains appeared clearly as a very integral part of the story at various levels – within the city and outside it. India’s traditional urban forms – like those elsewhere – were once part of river based mobility systems. The colonial infrastructure of the railways dovetailed into this process to create its own channels of flows, forming large pools of urban accumulation in the colonial port cities of Calcutta, Bombay and Madras. It is certainly true of India (though not rare in China and Latin America as well) that the biggest cities are not only magnets of migration but also points from which people return and fortify their home villages and towns – especially as they keep parts of themselves at both places through simultaneously divided and shared use of land, homes and families. Try buying a train ticket in a second class compartment from any of the big cities through most of the year and you will see a teeming movement of people to and fro making your purchase a challenge. The Indian census too throws up all kinds of complications with regard to the nature of rural areas as well – constantly confusing and confounding categories. For example, the latest census points out that non agricultural related activities are increasing in rural areas – under-cutting almost at once of what defines a rural area in a traditional administrative sense. The field of mobility studies questions the idea that a place, city or village can be isolated as units of analysis at any given point of time. India’s complexities have been documented ad nauseam – and it has been straight jacketed into various grids – the most overwhelming been urban and rural. The pendulum of defining the nation’s essence has moved from one end to the other over several decades and today has been set on a fixed trajectory – entering into a seemingly irreversible urban tunnel – with its teeming millions in tow. Within this story Mumbai appears as one gigantic node set to face many challenges in the process – forcing people like us to take on this expectation. This is the point at which our research comes into play. We decided to work on the Konkan railway for several reasons. Firstly because Mumbai was its starting point, Goa an important intermediate node and Mangalore its final destination and both Goa and Mangalore have a very special place in the social and physical history of the city. Secondly, the Konkan rail was a relatively new one, coming into full functioning only around twenty years ago. It would allow us to understand the process of movement with two layers of memory – before and after the railways actually started. Thirdly, the city itself had a powerful political connect to this region in terms of the residents with whom we engaged – mostly in working class neighbourhoods all over the city. Either because of the erstwhile textile mill-workers of early twentieth century Mumbai or political importance of the dominant nativist electoral parties like the Shiva Sena – the Konkan coast remains a crucial presence in the metropolis. We began exploring the various urban systems that constitute the region and which had got connected recently by the railways. We focused on six urban nodes – Roha, Chiplun, Ratnagiri, Thivim, Udupi and Mangalore which were major train stations on this route. We followed the movements of 100 plus travellers starting from each of the nodes and tracked them to the places they would eventually go to, forming intricate networks along the trail of the urban systems that each node spawned. One of the most thrilling aspects of our study was the gradual realization that the coast was not simply an interconnected network of urban systems which was serviced by the railways, substituting older modes of travel – but that the movements in the system were part of circulating rhythms revolving around specific functions – religious, familial and economic. We began to refer to our study as one of Circulating Urbanism in which the Mumbai story became more integral than we initially started out with. Mumbai was not just one urban system connected to several but was the most overwhelmingly powerful forcefield in which the whole region was embedded. Of course, the Konkan had its own emerging centers as well – but Mumbai continued to play an important role due to its history. Mumbai had played a very significant part in the life of the Konkan for more than a hundred years, using sea-routes prior to the railways to forge bonds across its hilly terrain. Those bonds, were more than just about physical movement between localities and were shaped by relationships mediated by families. In fact the family as a vehicle of mobility, through which individuals managed to traverse large distances by maintaining points of connection between both places became an important focus. The ability of an individual to use relationships and the related metaphors of familial connections and bonds also became integral aspects of our study. We were also aware that the family in India is deeply connected to community history. This can clearly be seen in a tangible way through the built-forms of urban settlements. If they belong to poor communities and families their habitats in Mumbai correspond to a similar spatial configuration in the city as well. And as mobility is a variable as much of communication as it is of transport, we also saw the importance of new technologies such as mobile phones and web based systems such as facebook and whatsapp becoming part and parcel of the circulating urban rhythms we were describing. In the first part of the study we managed to provide a detailed profile of the circulatory urban system that shapes the Konkan region’s connections with Mumbai, even as it pulsates with its specific movements around its own circularities. We created several maps that demonstrated this. The social and the physical are conjoined dimensions and if we depart from the static imagery that traditional social science explanations evoke while talking of individuals, families and communities (or homes, settlements and cities), we will appreciate at once how a detailed ethnography of these dimensions enhances our understanding of mobilities and urban life more than mapping physical movements along static points. What we are doing in the second phase is looking at the lives of four families – keeping in mind their individual mind spaces and community affiliations. They hail from the historically significant district of Ratnagiri down the coast, and are simultaneously embedded in the urban fabric of Mumbai. They occupy dynamic social and economic positions through their communities – even though all of them would broadly qualify as belonging to the lower bandwidth of India’s social spectrum. This status would reflect on both, their locales back in the village as well as their homes in Mumbai. What we hope to do is to demonstrate the mechanisms through which circular movements happen between two locations in the lives of individuals and families. We focus on travel (trains and others) as well as communication systems that have become very advanced in recent times. What is emerging are stories of places and people, of belonging and leaving behind, of morphing landscapes and new horizons. We hope that this small study will open the way for a larger set of observations on urban reality in India as a whole. One in which the static imaginaries of rural and urban, of fixed identities gives way to mobile concepts that reflect the complexity of life that its residents actually embody. Classifying habitats as distinctly rural and urban is not as straightforward as it seems. What a city has come to mean today – a discrete unit cut off from rural ways of living – has not always been understood in the same way all through history. An urban conglomeration that acted as a political center for a kingdom, or as a market place for trading goods, did not necessarily see its population as markedly different from the rural hinterland it was embedded in. In fact there was a greater sense of fluidity and movement that was accepted as part of the existence of those units. In the age of the British empire on the Indian subcontinent – the great presidency port-cities of Bombay, Calcutta and Madras, merged with the hinterlands they ruled with a similar sense of continuity. And people moved from habitat to habitat across the presidency sprawl – sometimes rural to urban and sometimes the other way round without marking the movement as a shift in terms of identity. Thus a resident of Ratnagiri, a district, 400 kilometers south of the old Bombay city, left his village to come to the city to work – but still managed to keep a sense of connection to his or her erstwhile home. He could even work in the fields during the rainy season and return to his textile factory after that. Maybe it is for this reason that a city like Bombay, during the years it was also emerging as the economic powerhouse of western India, absorbed a wide variety of migrant – itinerant communities, allowing them to flow through its streets and by-lanes. Some of them were officially marked out as nomads who were practicing their trades and occupations moving in and out of the city – just as they moved from village to village practicing their trade. The earliest ethnographic account of Mumbai – written by Govind Narayan in the mid-19th century, dedicates a significant portion to the city’s itinerant communities. Of course, as the decades passed by, the city’s attitude changed. As urban identities became stronger – the authorities tended to become suspicious of such communities in particular. Colonial acts in the Bombay presidency, targeted nomadic groups, classifying them as criminal tribes – after having destroyed their pathways, or installing strong road-blocks on their traditional routes. They often tried to integrate them into the political system by settling them down, sometimes in the metropolis, sometimes in smaller towns or on the peripheries of villages. A clash of cultures produced narratives of criminality, much in the way the Romas (or gypsies) of Europe) became victims of the political re-configuration and hardening of boundaries on that sub-continent in the 19th and 20th centuries. These attitudes spilled over into the political discourse of civic administration. The city’s workforce – most of them disorganized – were seen much in the same way as the nomadic tribes. Their criminality was associated with their habitats – which reflected their fluid status – not quite rural or urban – existing on the fault-lines of various newly constituted legalities. The seasonal nature of the workforce – with workers leaving during the monsoon season, became entangled in notions of indiscipline. Yet – the city carried on and even today, much of its work-force is constantly part of movements and mobility patterns that connects them to points of origin that are far away – often in villages. Today the footprint goes all the way to Bihar and Orissa. Families and communities also reproduced their traditional habitats within the folds of the city’s boundaries to create a very diverse weave of urban forms – some of which were markedly ‘rural’. This happened at different moments in the city’s history. When the port area was the dominant economic activity, educated middle classes from the East Indian community arrived from the peripheries and set up homes outside the port precinct. At that time, the village template worked well. Today the same habitats, like Mahtar Pakhadi and Khotachiwadi, have become anachronistic spaces, only making sense as the city’s heritage narrative. The same process also happened with working class groups from the mill areas – but along a different timeline. Initially, they were all part of the urban working class neighbourhoods, typified by the chawls (barrack like single room homes with common toilets). Then with the decline of mills – especially from the 1980s onwards, the same families moved up north, to places like Bhandup and reverted to homes that evoked their villages in Ratnagiri, even calling the neighbourhoods Konkan Nagar, after the coastal region that connects Mumbai to Ratnagiri. Going deeper in this process – we find thinkers like Anthony Leeds and James Scott – clearly pointing out the moments in which the hardening of the categories rural and urban emerged. Leeds suggests that it appeared during the industrial revolution while Scott believes that it accompanies statecraft procedures that tried to settle down movements of communities over large terrains from much prior to that. Either way, it revealed a process that became increasingly rigid as communities were labelled and classified as being rural, urban or nomadic as per the interests of state control. In the context of India, colonial impulses moved in many contrary directions. Force settling of societies, the development of the railways, new agrarian and revenue systems, disciplining subaltern urban populations, criminalising nomadic groups due to their persistent propensity to be mobile created a messy template – the after effects of which can still be seen in their impact on the physical landscape of the city. Mumbai continues to have urban villages within its fold and its many so-called slums share characteristics with villages from miles away. Moreover, many of its citizens cannot be clearly marked out as having ‘urban’ characteristics. At the same time, the hinterland around Mumbai, even at considerable distance from the nucleus of the city itself, carries traces of a much larger political imagination. Goa is still legally controlled by the High Court of Bombay, and the University of Mumbai imposes its jurisdiction three hundred kilometers down the coast in Chiplun town. Of course, today these processes are seen to be vestiges of a faded past. Most contemporary urban experiences have moved down a completely different path today, especially after the second world war. This moment, in many ways, became the starting point of urban practices that started to universalize and harden urban boundaries and definitions even more – collapsing it with new economic policies that saw the city as sites of consumption and financial management. In fact cities like Bombay and Calcutta which still see imprints of an earlier era, especially in their uneven textures – Bombay more than Calcutta – have resigned themselves to being part of narrative that classifies them as backward in the context of a pure urban moment. The image of the slum fits neatly into such readings – becoming a short hand way of expressing impatience about what they are – neither really rural or urban in clear-cut ways…. (These notes are part of a series starting this week that explores the nature of circulating urban systems that characterize much of India – with a focus on Mumbai and the Konkan, as part of our study with the Forum for Mobile Lives, Paris. All photo credits: URBZ). The homegrown city is a global reality. Mumbai is predominantly homegrown. So is contemporary Berlin. Even seemingly well-planned and controlled cities such as New York and LA are internally shaped by their users. Tokyo too, of course, has a long history of unregulated local urban development. The homegrown city cannot be defined against the planned city, simply because the planned city is itself a rare breed, which tends to be quickly overwhelmed by other forces from within and from outside. For the most part, cities have grown opportunistically, following the fortunes and misfortunes of history. Places that may once have been planned are later re-appropriated and reinvented by their users. ‘Homegrown’ refers to habitats that have been developed and adapted by people who live and work in them. They are homegrown because they have been generated locally –from within. This can happen in any context and within any pre-existing typology, including planned cities, high-rise buildings and historical quarters. Homegrown development is irrepressible in booming cities, which grow faster than their administrators can manage. The phenomenon has reached an unprecedented scale in Asia, but also in Africa and Latin America. Half of the residents of Shenzhen live in overgrown ‘urban villages’ for instance. In Mumbai, Cairo, Istanbul or Nairobi the proportion of people who live in places that have been developed locally and incrementally is even higher. The homegrown city is internally organized rather than ‘self-organizing’ and it is certainly not homeostatic – it is always mutating into something new. No matter how hard planners and urban administrators try, the homegrown city can never be killed. Even the most controlled man-made environments can’t suppress the propensity of people to shape places and make it their own. In fact, the more we repress the homegrown city, the uglier it gets. Clear up a slum, pack up people in high-rise boxes and see the homegrown city come back in the form of cars being set on fire, garbage thrown out of the window, graffiti on the wall, tattoos on the body, spit in the face of whatever represents the authority. The homegrown city is everywhere yet it can’t be seen, until it emerges as a bigger than life hillside settlement or street festival. The reason it eludes definitions is that it is composed of a multiplicity of things that crisscross and get enmeshed creating new assemblages. It is like a wild sacred grove, left to grow on its own. Sometimes predatory weeds suffocate other species to colonize the grove. At other times, plants exulting an exotic beauty appear. The homegrown city has the aesthetic appeal of rawness. Which is pretty much what makes it possible to slide into its folds with comfort and ease. It is a quality and condition that is attached to the actions and lives of its residents and users who take what is there in their environment and make it more of their own. Rather than only rely on it to make planned and organized cities work, it is worth relying on its creativity in more fundamental ways – and see them as ingredients that are active from the start. Final touches for a flower bed on the first floor of a home in Shivaji Nagar, Govandi, Mumbai, challenging the norm – of a deliberately shabby look that most prefer, to avoid municipal attention. 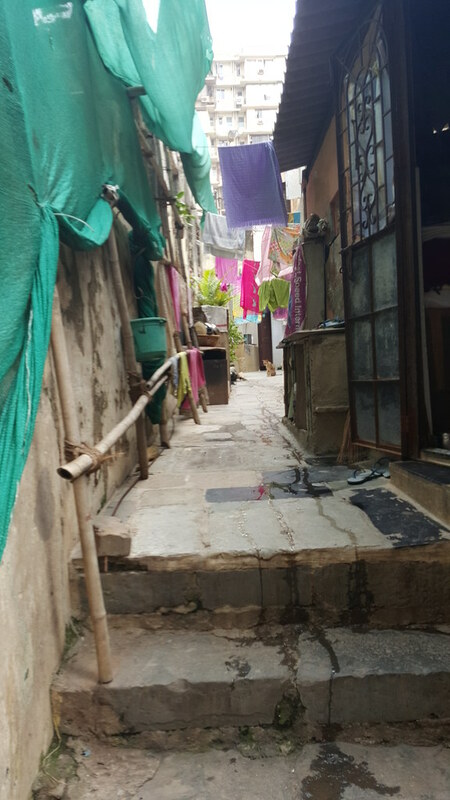 There are some lanes in Govandi’s Shivaji Nagar, a neighbourhood in northeast Mumbai, where residents deliberately avoid making their house look good on the outside. Some local contractors even make an extra effort to ensure that recently done-up homes look old and shabby. This is mainly to avoid attention from local municipal authorities who work hard at maintaining the slum-like quality of Shivaji Nagar. The tension between the willingness of residents to invest in their homes and a hostile civic environment is a major cause for the perennial presence of slums everywhere in the city. Shivaji Nagar stands on soggy ground that was once reclaimed from marsh. 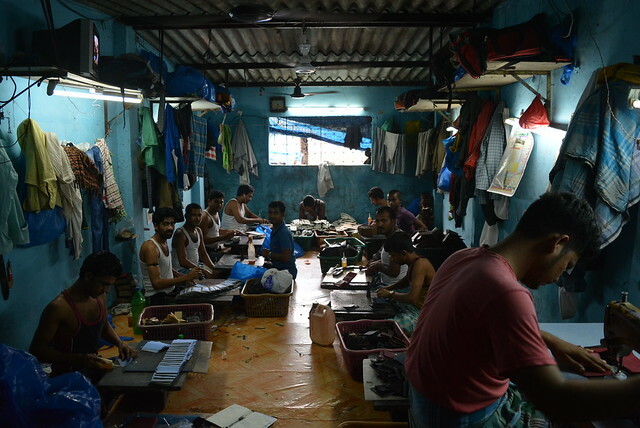 This is one of many things it shares with the more notorious ’slums of Dharavi’, only a few kilometres away. Other shared features include hyper-density, a dramatic lack of infrastructure and a population that has historically been discriminated against. Whether they are poor Muslims or low-caste Hindus, most of them have to make do with some of the lowest quality of life levels in the city. Residents of Shivaji Nagar are well aware that the gas fumes emanating from the nearby dumping ground – the largest in Mumbai – are not exactly salubrious. Large parts of the neighbourhood do not have running water, and most streets have open drains – all to be expected in places that have grown outside any planning and regulatory framework. However, Shivaji Nagar, now called a slum even by municipal officers, was originally a planned resettlement colony. It was created in the 1980s to house displaced slum dwellers from other parts of Mumbai. How it became a slum is a story of prejudice, inadequate and inflexible regulations, institutional corruption, and lack of political vision. The result is a neighbourhood that today develops without any support and against all odds. Residents push above and beyond the once well-gridded street network, palliating the poor infrastructure with makeshift systems that are both innovative and insufficient. Yet, for a vast majority of residents, leaving is not an option. Having a home in the pulsating economic capital of India means access to employment and education. Being in Shivaji Nagar is no sinecure, but what could be more precious than a better life in the making? Yet, visitors expecting to see a slum populated by depressed souls begging for subsistence are quite surprised to see something else altogether. Far from the clich&#233;s of the villa miseria, Shivaji Nagar is – for the most part – an upbeat neighbourhood, where the sound of houses being repaired and rebuilt syncs with everyday life, and where street markets are as busy as suburban trains. In Shivaji Nagar, as in Dharavi, many houses double up as home-factories producing all kinds of goods ranging from embroidery to cosmetics. A web of local artisans takes orders from all over the city for iron grills, wood furniture or polystyrene models. Nowhere is the enmeshing of livelihood with living spaces as obvious as in the construction sector. Squads of specialized masons, plumbers, bricklayers, concrete mixers, plasterers, and electricians serve the insatiable local demand for improvement. A 300-feet house would typically take just a little over a month to build with nearly 100 people working in a well-choreographed construction ritual. Most of these labourers live in the neighbourhood, which means that at least part of what they earn is spent back in the local economy. 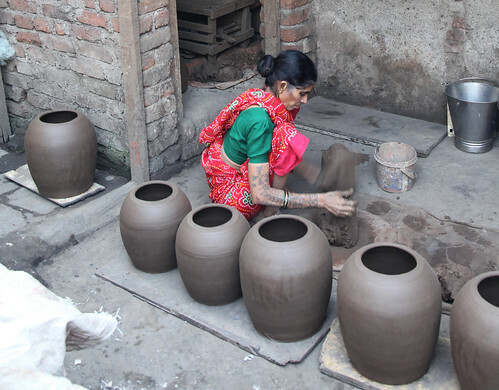 Shivaji Nagar’s artisans of construction are experts at dealing with constraints that would make most architects balk: limited availability of space and resources, the shallowness of the ground and corrosive weather. Add to that an indifferent or antagonistic middle-class opinion. But the biggest hurdle of all for neighbourhood builders is the generally hostile bureaucratic and legal context in which they have to operate. For instance, antiquated regulations mean that building a second floor, reinforced walls or a toilet inside a house are illegal. People’s basic aspirations for better living are monetized in the form of bribes, which represent millions of dollars of informal revenue for some unscrupulous officers. The problem, however, is not as much corruption per se as inadequate policy, which create a black market for construction permits, much in the same way fixed exchange rates create a black market for currency. The worst case scenario would be to address corruption without addressing its root cause. While incremental improvement by capable local builders and perseverant residents is virtuous and deserving of support, it won’t be enough to realize the potential of Shivaji Nagar and other burgeoning, struggling neighbourhoods in Mumbai and elsewhere. What Mumbai needs more than ever is an official strategy based on the recognition of the internal dynamism of spaces that have been marginalized and repressed for far too long, and a clear mandate for the government to provide infrastructure and amenities that they lack so badly. It is also time for authorities to come up with new policies for slums, which would formally recognize the occupancy rights of residents of Shivaji Nagar and other ‘homegrown’ neighbourhoods, so they can at last build on solid ground. For this to happen, the government must turn the page over several decades of failed slum rehabilitation policy and realize that the most radical and innovative path may be the one that residents have carved for themselves. This article originally appeared on NDTV.com and can be accessed on their website here.